Apple is hosting a special media event on September 7 at San Francisco’s Bill Graham Civic Auditorium at 10am PT. As always, we’ll be covering the latest in Apple’s big fall refresh thoroughly here at iDB. Of course, the iPhone 7 will be the event’s biggest story, but we’re also hoping to see other hardware refreshes, accessories and related products come into full view next Wednesday. Here’s everything we think Apple could introduce come September 7, plus some of the things we’d like them to announce but they probably won’t (yet). Expectations for Apple’s iPhone refresh are tepid as the forthcoming phone appears to be an incremental upgrade versus the iPhone 6s. The biggest visual difference: updated antenna lines on the backside, now visible only at the top and bottom edges of the device. Aside from the subdued antenna seams, the iPhone 7 is thought to borrow the industrial design that Apple has used for the past two years, making the new phones virtually indistinguishable at first glance from the iPhone 6/6s design. 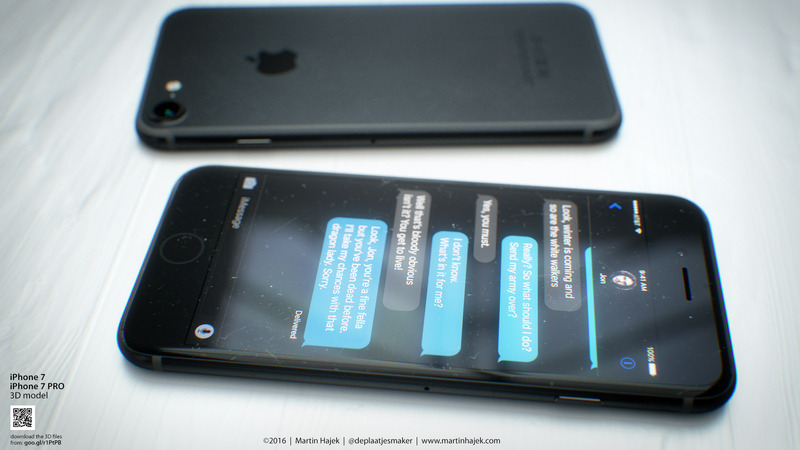 On the inside, however, the iPhone 7 is said to pack in more improvements than meets the eye. An Apple-designed ‘A10’ system-on-a-chip fabbed on TSMC’s ten-nanometer process will speed up CPU and GPU performance versus last year’s A9 chip inside the iPhone 6s, while consuming less power. Furthermore, the A10 will probably integrate an embedded ‘M10’ motion coprocessor that may for may not draw less power in ‘Hey Siri’ mode while potentially powering new tracking features. The 4.7-inch iPhone 7 is said to include two gigabytes of LPDDR4 RAM (like the iPhone 6s) while the 5.5-inch iPhone 7 Plus could use three gigabytes of RAM due to its dual-lens camera processing more data. Both phones may come with a slightly larger earpiece and relocated proximity sensor. The new phones are said to be outfitted with stronger batteries. That said, it’s unclear if more juice will equal extended run time but even the modest improvement in that regard will be much appreciated. The iPhone 7 range should have the same display resolution as Apple’s current Retina and Retina HD screens on the iPhone 6/6s and iPhone 6 Plus/6s Plus. The back cameras are said to be better, with the 5.5-inch iPhone 7 Plus getting a dual-lens camera system allowing for better low-light performance and features like true optical zoom and more accurate colors while the 4.7-inch iPhone 7 is said to gain optical image stabilization. For what it’s worth, we’re not expecting any increase in megapixels, but that protruding lens should be more bearable thanks to the cameras’ curved design. Both phones are thought to have a non-moving digital Home button with haptic feedback. The headphone jack is widely expected to disappear from the next iPhone—but, it’s not clear whether or not the removal of the 3.5mm analog audio port paves the way for stereo speakers. Even without the 3.55mm jack, the iPhone 7 will support Bluetooth headphones and wired ones based on Lightning I/O. 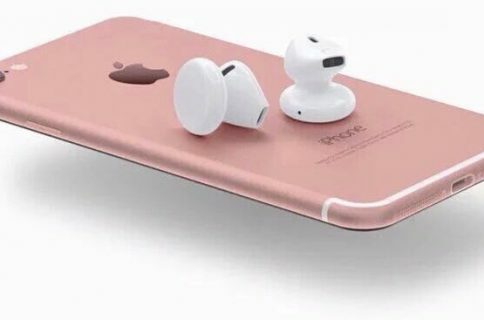 Dubious iPhone 7 packaging photos have indicated that the handset could ship with a wireless version of Apple’s EarPods, likely to be called AirPods Wireless Earphones, and a 3.5mm to Lightning adapter so that folks can connect their “legacy” headphones to the iPhone 7 without buying a standalone adapter. We believe the phones will start out at 32 gigabytes of storage as Apple finally kills off the oft-criticized 16GB iPhone tier. A model with 256 gigabytes of storage is in the cards, too, providing twice as much on-device storage versus current 128GB iPhones. When it comes to the finishes, some new colorways might join, or replace some of Apple’s current Gold, Rose Gold, Silver and Space Gray options. These might include a Darth Vader-like Glossy Black and either a Deep Blue or an Apple Watch Space Black-like Space Black colorway. The Cupertino firm should begin taking pre-orders for the iPhone 7 on Friday, September 9, with shipments probably commencing two weeks later on September 25. As is Apple’s won’t, we’re not expecting a price increase for the new iPhones: the iPhone 7 should cost the same as the iPhone 6s. And by the time the latest iPhones arrive, the iPhone 6s and older models (but not the already affordable iPhone SE) should see their prices slashed. It’s been nearly a year and a half since the original Apple Watch debuted in April 2015 so it’s obvious that Apple’s wearable is not on the same annual refresh cycle as iPhones and iPads are. Be that as it may, we think the September 7 event could also serve as a launchpad for a second-generation Apple Watch 2—more so given the Apple Watch 2 will still require an iPhone to function. Most of use here at iDownloadBlog are in agreement that the Apple Watch 2 will run Apple’s ‘S2’ chip built on TSMC’s 16-nanometer process, have a thinner and lighter display and a bigger battery potentially giving it a few more hours of run time. We’re also pretty sure the gizmo will be more waterproof than the original device, track swimming and provide more accurate workout readings without its paired iPhone thanks to the included GPS. New sensors (like barometer for improved elevation and geolocation capabilities) could also be in the offing. There are some things we think didn’t make the cut for the second-generation refresh of the Apple Watch, namely such features as a built-in FaceTime camera (who cares? videoconferencing from the wrist doesn’t seem like a must-have feature), a sharper screen (it’s already sharp) or LTE connectivity (because cellular data transfers deplete most tiny smartwatch batteries far too quickly). Some new bands in a plethora of colors/materials, you say. Definitely possible, we say. 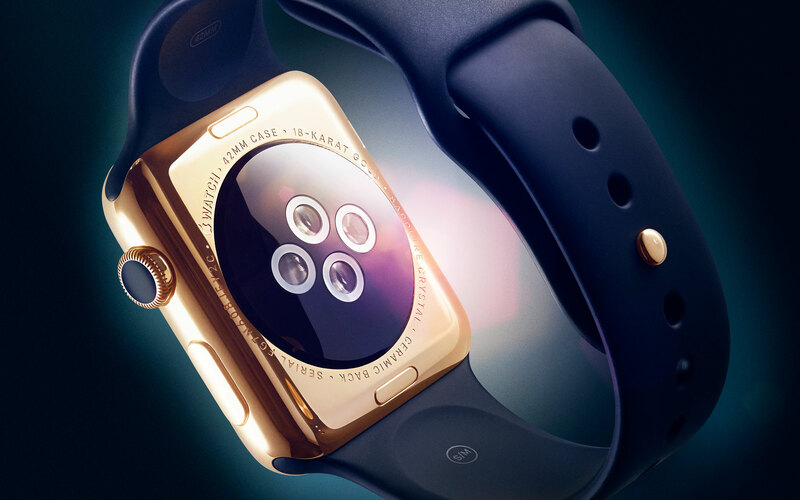 If you believe analysts, the original Apple Watch could also be updated with a faster S2 chip and slightly improved waterproofing, but don’t expect any visible changes to its form factor or appearance. 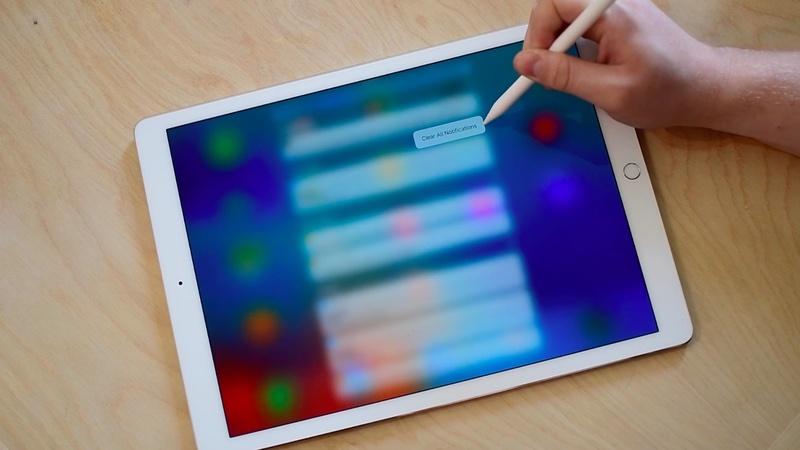 Reports of the iPad’s fall refresh are inconclusive and sketchy, at best. Some sources have called for a second-generation iPad Pro along with a third-generation iPad Air in September. Others have claimed that Apple won’t be updating its tablet lineup before 2017. As there has been virtually no iPad-related leaks in the past few months, it is our speculation that any new iPads would deserve a separate event in October (less likely) or in Spring 2017 (definitely more likely). For what it’s worth, perhaps the most reliable Apple analyst out there, Ming-Chi Kuo of KGI Securities, recently predicted that 2017 will be the year of a brand new 10.5-inch iPad Pro model, a second-generation 12.9-inch iPad Pro and a low-cost 9.7-inch iPad. Most of the Macs sold, especially the three-years-old Mac Pro, are ripe for a refresh. We think there’s a reasonable likelihood that we’ll see some new Macs announced at the iPhone 7 presser. That’s mainly due to some solid sources stating Apple no longer wishes to hold two events in the fall—iPhones in September, with iPads, Macs and other related hardware like the Apple TV in October. 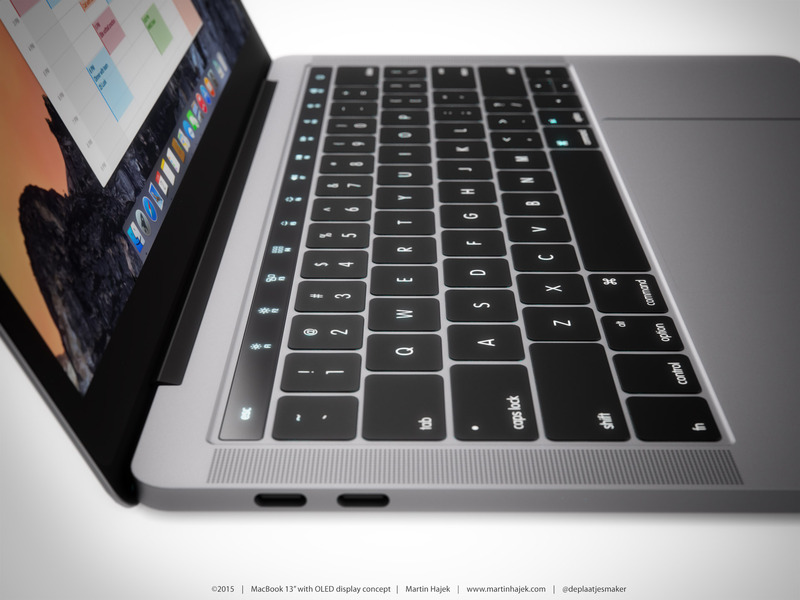 No matter how you look at it, Apple will disservice fans by delaying new Macs into 2017. The key issue potentially holding back new Macs: Intel. As the world has witnessed, Skylake chips have been plagued with reliability issues related to overheating so good thing Apple hasn’t bet on the SkyLake platform. Earlier this week, however, Intel announced first Y and U-series chips based on a seventh-generation Core architecture code-named Kaby Lake. These new chips would be perfect for Mac notebooks and iMacs (their desktop counterparts won’t be available in volume until 2017). Due to these uncertainties and Intel’s increasingly unreliable roadmap, we really cannot predict whether new Mac hardware built around these processors could get unveiled this or next month, or in 2017. If you asked us to speculate, we’d say Apple could get away with giving us a glimpse of some of the upgraded Mac systems (like notebooks) at the September 7 event. Such a move would be similar to how the company previewed the overhauled Mac Pro in the summer of 2013. Apple could then advertise any previewed new Macs with a vague “late 2016” or “early 2017” shipping date and collect pre-orders ahead of the all-important holiday shopping season. The refreshed Mac lineup most certainly includes new versions of the all-in-one iMac desktop and the MacBook Pro which should gain latest Intel chips, upgrade graphics, a thinner industrial design akin to the 12-inch MacBook, USB-C and Thunderbolt 3 ports and that programmable OLED touch strip above the keyboard. Will Apple refresh the MacBook Air notebooks? If so, we only expect modest upgrades to bring the Air’s hardware up to date with features like Intel’s new chips and USB-C and Thunderbolt 3 ports. A Retina-capable display, an even thinner and lighter appearance and other major hardware undertakings are probably out of the question as most people believe Apple’s been phasing out the Air in favor of the new MacBook for some time now. Credible sources mention the possibility of a standalone monitor with 5K Retina resolution, created in collaboration with LG Electronics. If such product is in the pipeline, I’m wondering if it’ll be branded as a Thunderbolt Display or an LG monitor. The Mac Pro remains the biggest mystery in Apple’s Mac lineup. 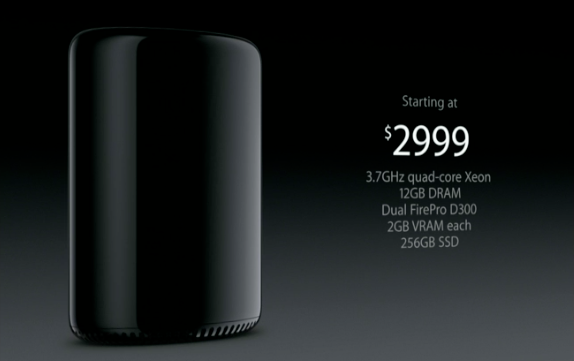 That machine was awesome back when it launched, but now Apple continues to sell the three-year-old Mac Pro hardware with previous-generation graphics at the same (high) price points, so something’s gotta give here. I want to believe that Apple will continue to cater to creative professionals with powerful Mac desktops like the Mac Pro. And if they’re building a 5K monitor in cooperation with LG, then the Mac Pro’s future is probably assured. 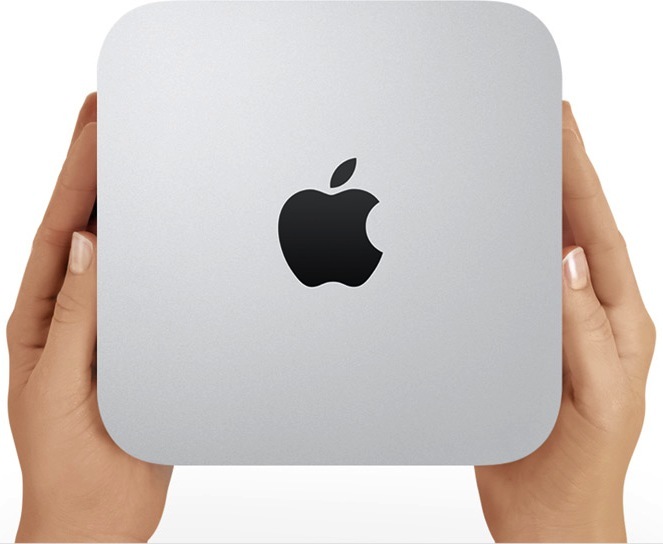 Almost forgot: what’s up with the Mac mini? I hope Apple won’t kill of the Mac mini, its most affordable BYODMK (Bring Your Own Display, Mouse and Keyboard) desktop computer because people have been using this unassuming little system to power anything from home offices to media centers to hosting services. Apple’s currently tentative release date for iOS 10, macOS Sierra, watchOS 3 and tvOS 10 is “fall”, but we’ll be undoubtedly given exact release dates during the iPhone 7 event. Just don’t expect these software updates to drop simultaneously—if past is any indication, iOS 10 will release for public consumption a few days before first iPhone 7 units start shipping to customers. We totally think a selection of new Beats by Dre products will be unveiled on September 7 (thanks, Apple PR!). Who knows—Apple could even rebrand its existing headphone lineup under the Beats moniker (not very likely, but still a tantalizing marketing opportunity). 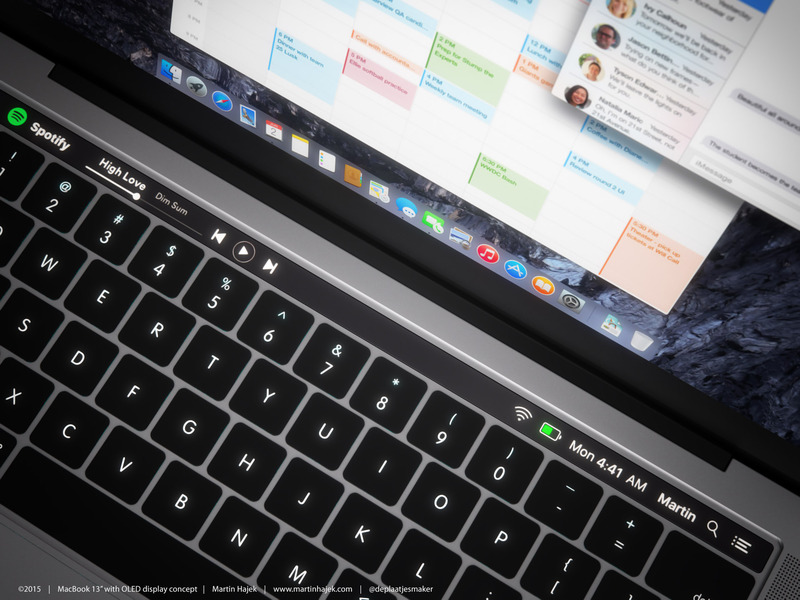 We know this is a stretch—and I’m putting it mildly—but with the next MacBook Pro getting an OLED touch bar who’s to say that Apple’s wireless keyboard won’t be getting the same treatment? 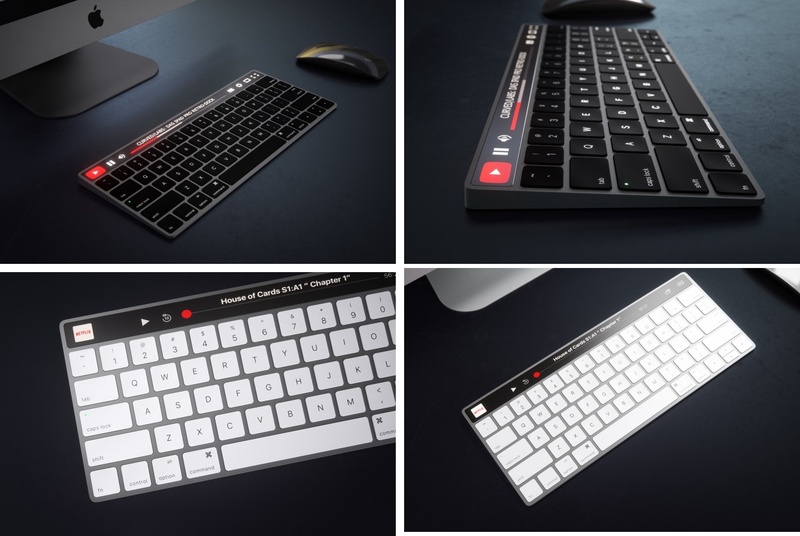 On the other hand, if there’s indeed something like an Apple Wireless Keyboard With OLED Touch Bar in the works, Apple could quietly announce it with a press release and a website refresh. On top of all of the above, Apple could surprise us with a One More Thing moment that no one saw coming. To be honest with you, we’re not keeping our fingers crossed for any surprise announcements because in this day and age of 24/7 news cycle and Apple’s ever-expanding footprint around the world it’s become nearly impossible for them to prevent leaks. And that, boys and girls, concludes our roundup of everything we expect would get announced on September 7. 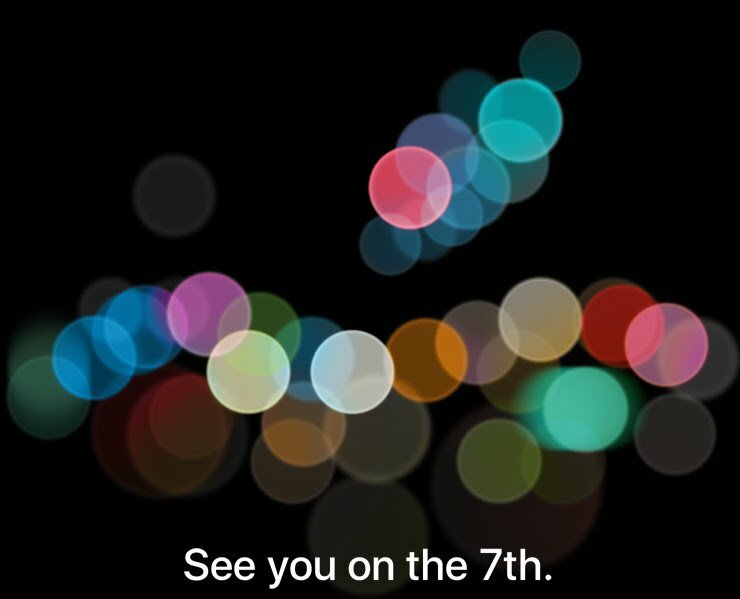 We want to hear your predictions regarding Apple’s big event. Don’t be shy, share your own observations with other readers in the comment section below.